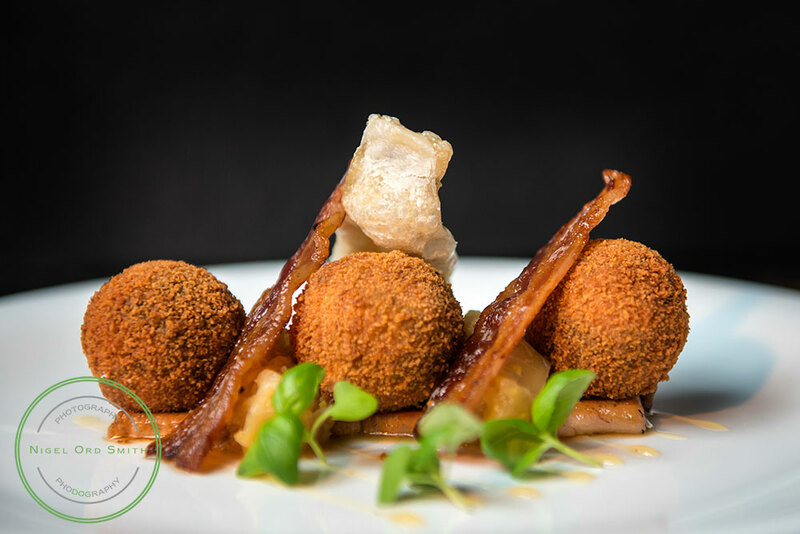 Ascough’s prides itself on serving delicious contemporary dishes using quality sourced ingredients from local suppliers. Everything is produced on the premises from bread and biscuits to ice creams and sorbets. Just over 6.5 miles away. Assuring you of a warm welcome, relaxed atmosphere and an excellent menu, The Attic Restaurant affords spectacular views of the local countryside and has been complemented by an outdoor balcony; offering an opportunity for alfresco dining or simply to enjoy a drink and unwind. Just over 4 miles away. 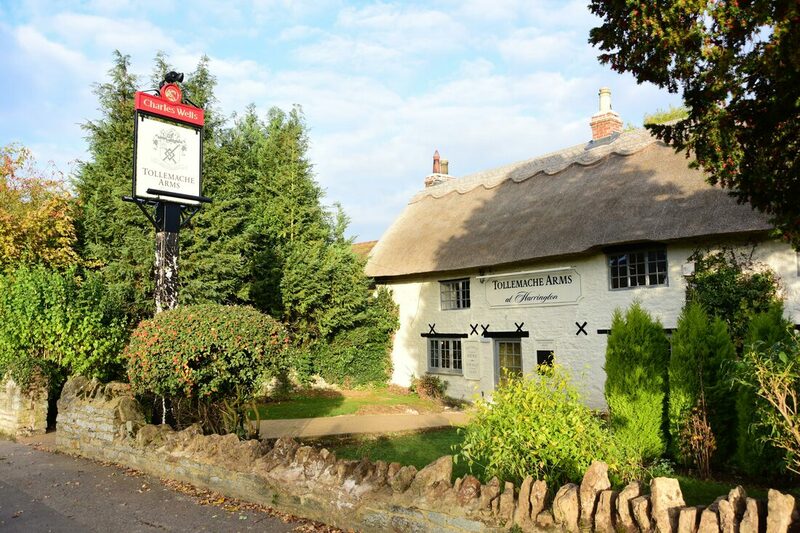 The Bull's Head is a traditional village pub dating back to 1627. So when King Charles marched past Clipston on his way to the Battle of Naseby, The Bull's Head had been built just a few years before. Now The Bull's Head is renowned for its fine beers and lagers as well as for its cask-conditioned real ales and its 200 brands of Scotch Whiskey. It is also famed for its warm welcome and comfortable surroundings, not to mention the quality home cooking. ​Just over 3 miles away. Offering a contemporary and modern experience for both dining and drinking. With a lavish bar and open fire, you are invited to enjoy drinks in a pleasant atmosphere before your meal. Wonderful Italian Cafe in Market Harborough with homemade food. We love the homemade soup and toasted panatone. 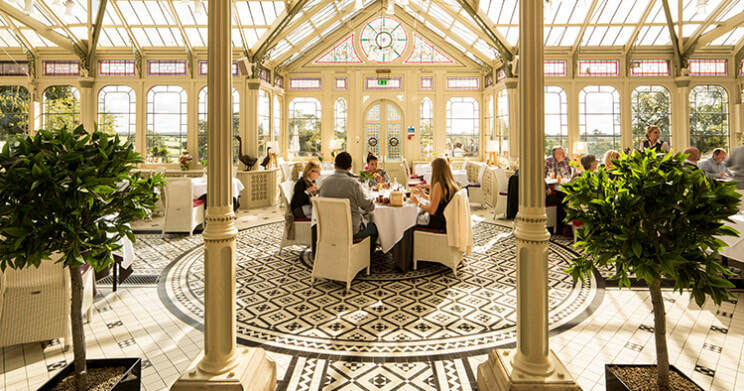 An outstanding architectural feature, the glorious grade II star-listed Victorian Orangery has become a destination venue in its own right. We thinks it's a wonderful place for lunch or an afternoon tea! ​Just over 4.5 miles away. The Kings Head in Spratton is the perfect venue to relax with family and friends. Their coffee shop serves breakfast, lunches and home made cakes. They also have Brasserie 23 fine dining restaurant. Just under 10 miles away. Charming pub/ restaurant with up to date interior and good food (part of a chain). ​Just over 9.5 miles away. Great for homemade cakes, scones, cream and jam. 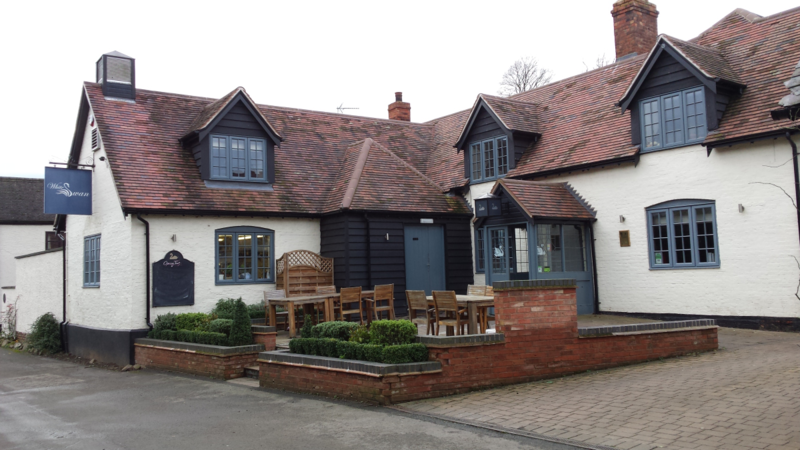 The Pytchley is an independent foodie restaurant/pub. We recommend it highly for it's steaks and Sunday lunches. ​Just over 10 miles away. 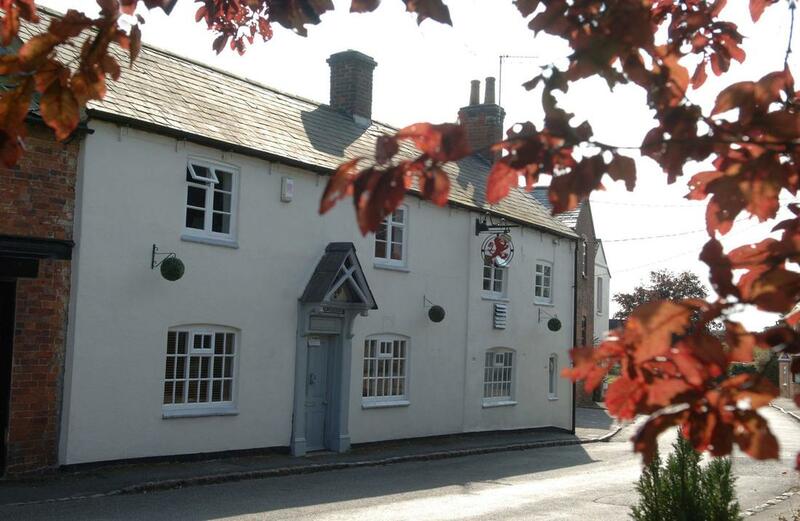 The Red Lion is an independent country pub and restaurant. At over 400 years old, The Red’s cosy interior is full of character and history. Just under 7 miles away. 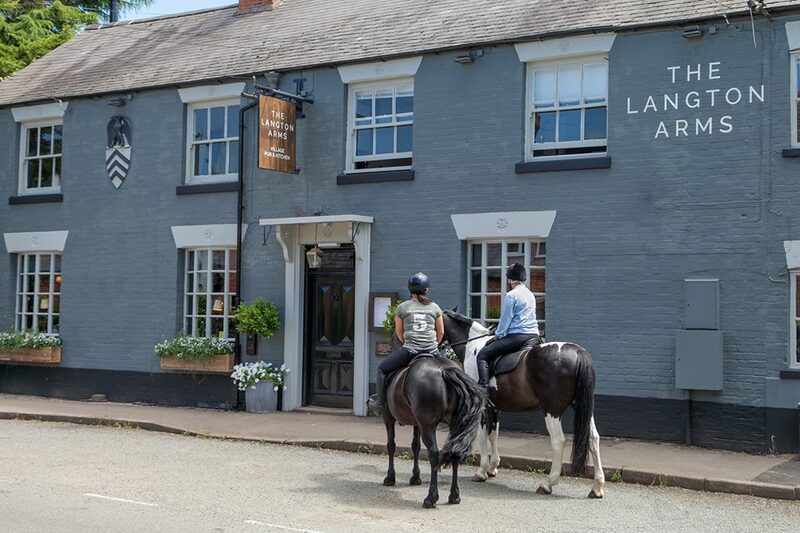 This is our local village pub with a great atmosphere yet still retaining its ‘local’ feel within easy walking distance just a mile up the road from us. The menu changes at least every month to use the freshest locally sourced ingredients. You can be sure that Andrew and Sarah will give our Brook Meadow guests a warm welcome. 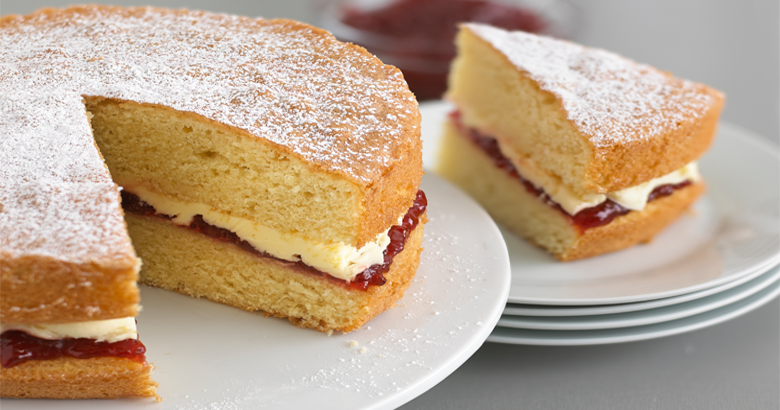 Enjoy delicious homemade cakes or a cream tea in the local village hall in Sibbertoft lovingly made by the local Sibbertoft ladies. Sundays , April - October only. This Afternoon Tea menu boasts a fantastic offering of scones, clotted cream and preserves as well as a beautiful selection of sandwiches, cakes and patisseries. A pot of tea or coffee tops this delicious culinary experience and a glass of Laurent Perrier Champagne is included in the Traditional Champagne Afternoon Tea offering. Just over 13 miles away. The best thing about the Staff of Life is the food. We highly recommend. Just over 5.5 miles away. Lovely atmosphere, up to date interior and good food. Just over 7 miles away. The Tollemache Arms has lovely countryside views. They offer the perfect steak and great pizza's. Just over 12 miles away. For something a little different and special. ​South East Leicestershire’s most exciting outdoor dining experience. 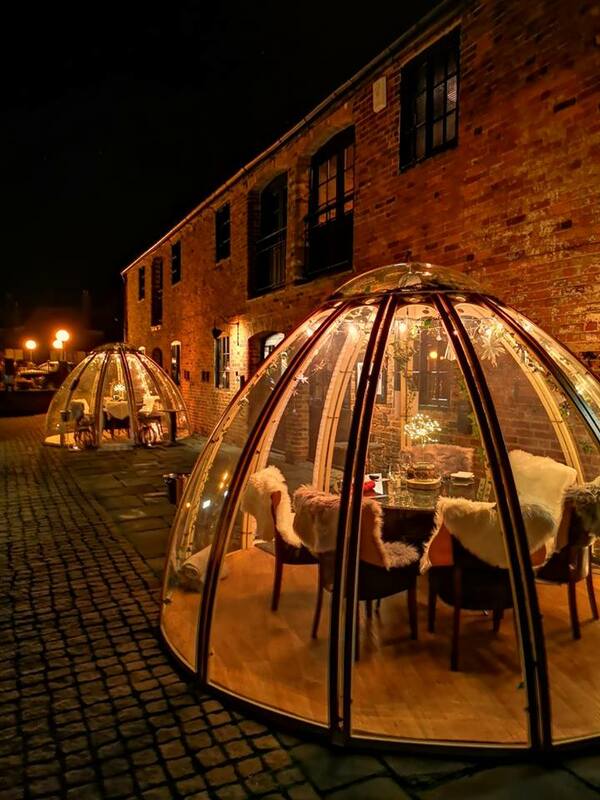 Two beautiful winter igloos come fully heated, with snuggly blankets and your own Bluetooth speaker to enhance your outdoor dining experience. You will also enjoy your own dedicated server who will attend your every need. Affordable country pub with canal side location. Northants camra rural pub of the year 2017. Just under 3 miles away. Open every day 11am - 4pm. Pop in for coffee & cake or a delicious vegetarian lunch. Get a free lunchtime meditation class when you buy a meal on Mondays or Thursdays. 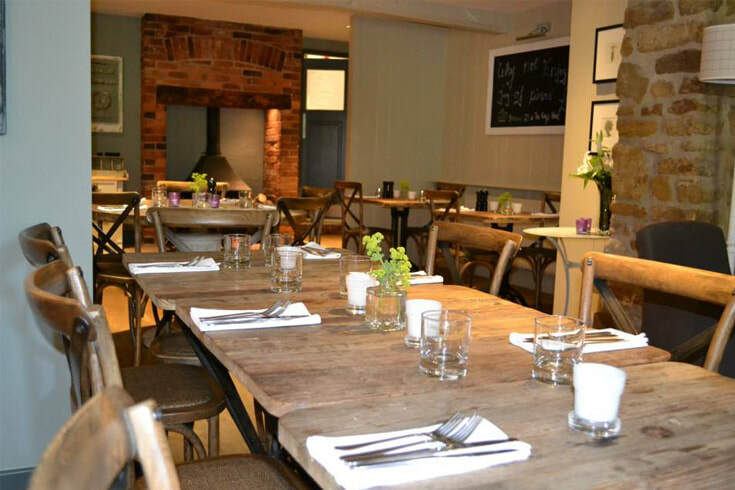 Taken over in 2012 by chef Rory McClean and his partner Samantha, and having undergone extensive refurbishment, the White Swan remains a traditional country pub but with a more contemporary feel and top class food. With its warm, welcoming surroundings, log burning fires and cosy snug it still retains its original character and charm. Fantastic for a special treat!